BEMISTER, JOHN, merchant, politician, and office holder; b. 1815 in Carbonear, Nfld, son of William Willis Bemister and Ann Howell; m. there 3 Jan. 1839 Jane Taylor, and they had four daughters; d. 19 Dec. 1892 in Harbour Grace, Nfld. The eldest of seven children, John Bemister entered his father’s mercantile firm, William Bemister and Company, in Carbonear as a clerk and bookkeeper. 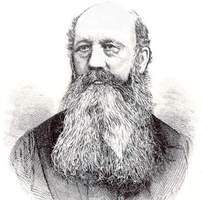 In 1841 he was sent to manage a branch in New Perlican, Trinity Bay, where the company had recently purchased premises. 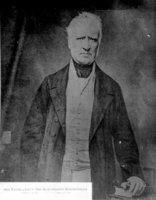 He continued in the family business at New Perlican and Carbonear until 1860, although day-to-day operations were increasingly assumed by his brothers once he entered political life. 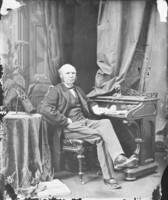 In 1852 Bemister was elected as a Conservative member for Conception Bay. His mercantile background was an asset: in January 1853 he was appointed to a committee “to Audit the Accounts of the Receivers of Duties . . . and finally to settle and close the same.” The following month he was nominated as a governor of the Newfoundland Savings’ Bank. The Liberals, who formed the majority in the House of Assembly, pressed hard for the introduction of responsible government [see Philip Francis Little]. When these efforts proved successful in 1855, the size of the assembly was increased. Bemister contested and won the newly created district of Bay de Verde in the election that year. 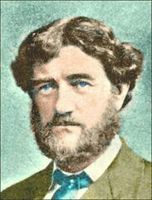 He and his fellow Conservatives, under the leadership of Hugh William Hoyles*, were left in opposition after that election and again in 1859, when Bemister was returned by acclamation. After the 1859 election relations between the Liberals and Governor Sir Alexander Bannerman* began to deteriorate. Early in 1861 the governor dismissed the Liberal ministry and called upon Hoyles to form a government. Hoyles believed that sectarian strife could be reduced only by balanced religious representation on the executive. Bemister, a Wesleyan from the one predominantly Methodist district in the island, was invited to become a member of the Executive Council. He retained his cabinet post after the general election in May. In February 1862 Bemister was appointed receiver general, assuming responsibility for finance at a time when the colony was almost bankrupt. Revenues were in decline, and although Bemister endeavoured to reduce expenditures, he soon found it necessary to raise tariffs, particularly on rum and other spirits. Through the later 1860s the question of confederation with Canada came to dominate Newfoundland politics. Bemister was a staunch confederate, as were all the important Conception Bay merchants [see Robert Stewart Munn]. In 1869 a general election was called on the issue, and politicians realigned themselves as confederates, led by Carter, or anti-confederates, under Charles James Fox Bennett*. Bemister again stood for re-election, but was not one of the more prominent confederate spokesmen. He was opposed in Bay de Verde by anti-confederate Robert Reader, a schoolteacher and magistrate in Old Perlican. The electors of Bay de Verde, who had gone more than a decade without a contest, apparently took enthusiastically to electioneering. Reader would later allege that Bemister’s supporters resorted to “intimidation, ruffianism, and clerical influence” in a number of communities. Bennett and the anticonfederates won the election, and Bemister was one of only nine confederates returned. Despite his personal victory Bemister chose this occasion to end his political career. Before the new administration could take office, he was appointed sheriff of the Northern District, based in Harbour Grace. The anti-confederates cried foul, claiming that “for months [Bemister] has had the promise of that appointment in writing.” He held office in Harbour Grace in relative obscurity for over 20 years, until ill health led to his retirement in 1891. He died there the following year. Although John Bemister held significant positions in two administrations, he was not a key member of either. 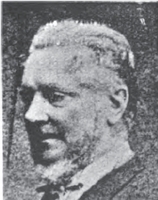 As a prominent Wesleyan, he benefited from the denominational assignment of offices under Hoyles and Carter. Carbonear United Church (Carbonear, Nfld. ), Reg. of baptisms and burials for the Wesleyan Methodist Church, 1817–67; Reg. of marriages, 1806–67 (mfm. at PANL). MHA, Gertrude Crosbie, “Names in the newspapers, 1825–67” (n.d.). PANL, GN 2/1/A, 1865–69; GN 9/1, 1855–69. Courier (St John’s), January 1864, September 1869–February 1870. Evening Telegram (St John’s), 20 Dec. 1892. Newfoundlander, 1852–55. Royal Gazette and Newfoundland Advertiser, November 1852–February 1853. St. John’s Daily News and Newfoundland Journal of Commerce, 1861. E. C. Moulton, “The political history of Newfoundland, 1861–1869” (ma thesis, Memorial Univ. of Nfld., St John’s, 1960). James Murphy, Murphy’s old Carbonear (St John’s, 1916). Arthur Pittman, “History and description of New Perlican,” Newfoundland Quarterly (St John’s), 35 (1935–36), no.3: 17–18. Paul F. Kenney and Robert H. Cuff, “BEMISTER, JOHN,” in Dictionary of Canadian Biography, vol. 12, University of Toronto/Université Laval, 2003–, accessed April 21, 2019, http://www.biographi.ca/en/bio/bemister_john_12E.html.